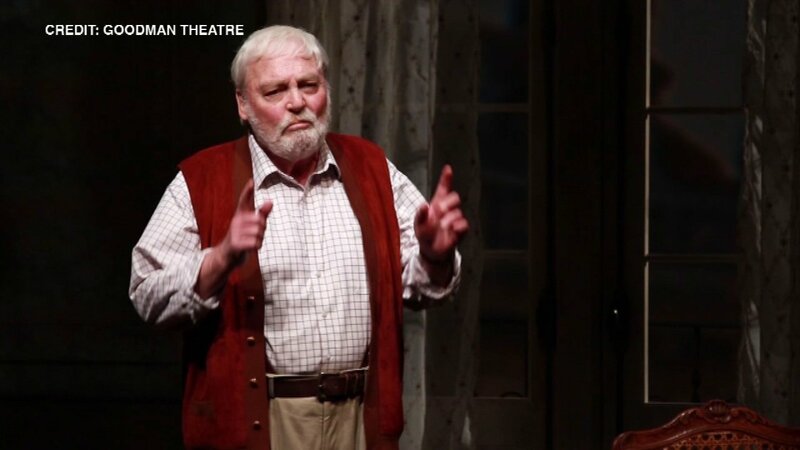 CHICAGO -- The Goodman Theatre, which recently canceled the premiere run of "Pamplona" after lead actor Stacy Keach fell ill on stage, said Tuesday the venerated actor had suffered a mild heart attack. The theater said that after a week of medical observation, they could confirm that Keach "experienced a mild heart attack during the May 30 opening night performance of 'Pamplona.'" The opening night was halted midway through the performance once it became apparent that Keach was struggling. He starred as Ernest Hemingway in the one-man 80-minute show. Keach's doctors said the actor is expected to make a complete recovery following a period of rest and cardiac rehabilitation. The full run of "Pamplona" was canceled last week, but the Goodman Theatre said plans to reschedule the production are underway. "On behalf of Stacy Keach, his family and the Goodman, we would like to extend our gratitude for all of the generous support and concern shown to Stacy this past week. I remain awed by Stacy's courage and strength after experiencing such a disturbing event; his spirits are high and he is resting and recovering comfortably," said Artistic Director Robert Falls.